Want To Watch A Movie In The Big Screen While You Soak In A Hot Tub? With platforms like Netflix and Amazon Prime etc., these days we often end up watching movies at home, but the experience of watching a movie in the theatre on a big screen is unmatched. The aroma of the popcorn, the scent of the coffee when we enter the theatre, is a different feeling. But what if we tell you that one can watch a movie on the big screen, while soaking in a tub full of warm water, and you get to sip your beer too? or a cinema theater that allows you to smoke? Sounds unreal? 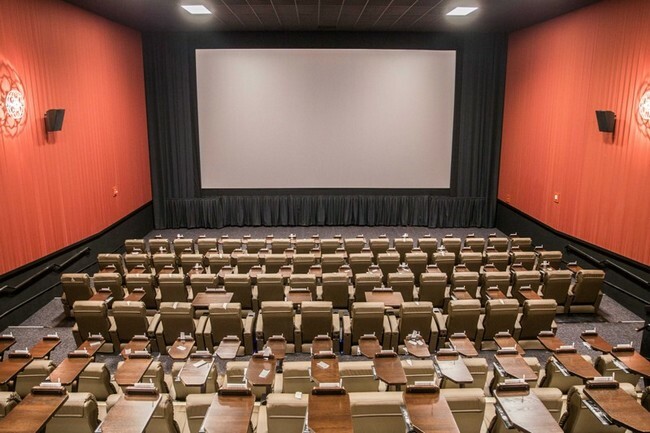 Well, here are some places where you can go to for some out of the box cinema theater experience. Have you ever experienced this unique way of watching a movie ?? 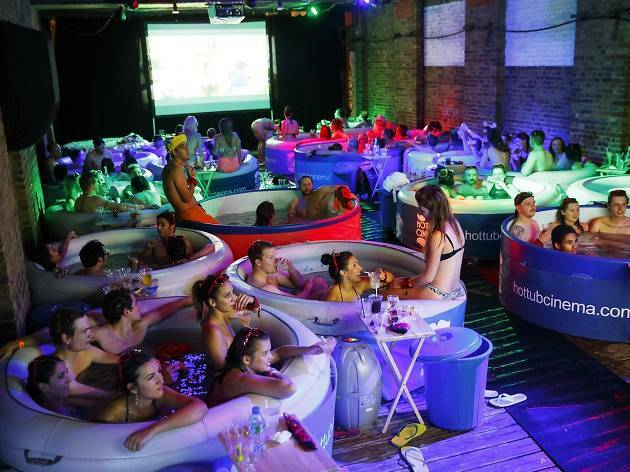 A must try for all, The Hot Tub Cinemas have branches in UK, USA and Ibiza. Here you can either book a single hot water tub or book a tub for a group and watch the movie in the open air. There is a waiter dedicated to each tub, so you can place your orders for your drinks and food, without having to step out of the water. You have to experience it to believe it. 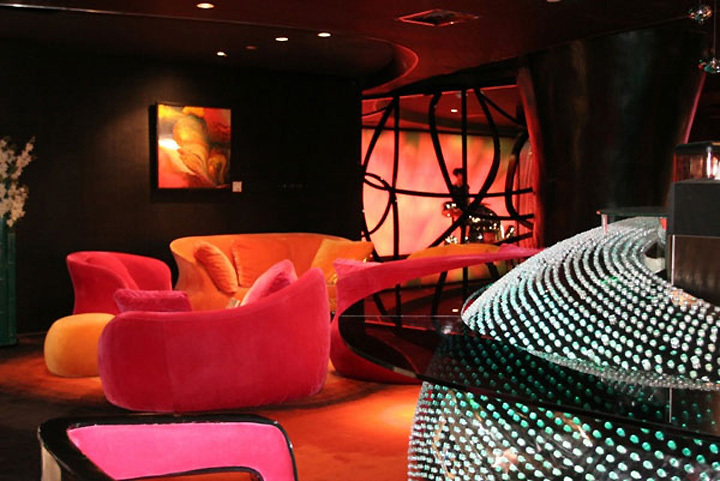 The Orange Cinema club in Beijing, provides boutique cinema experience. 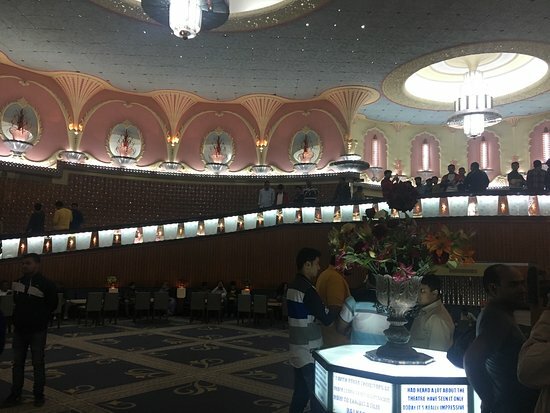 It has three auditoriums, with 30 seats each, and can accommodate 200 people, but what is unique is that it has a private bar and VIP rooms with smoking zones. There are a lot of bright colors used in the interiors which gives it a unique look. The theatre has rooms with sofa, pillows and bedsheet to make your movie viewing more comfortable. It is one of the most stylish theatres in the world. 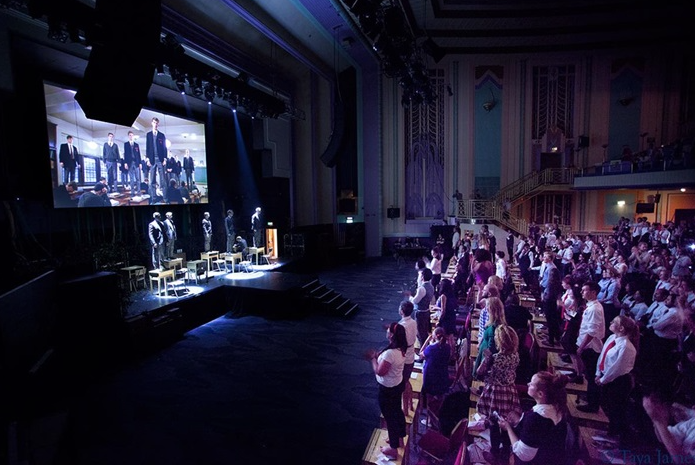 The Secret Cinema in London, is a secret like its name says. The location and the audience is a secret. It brings together music, art, film and theatre in large abandoned places to create larger than life experiences. The audiences dress up as part of the cast and blend with the crowd and actors, while enjoying some food and drinks before settling down to watch the film. The viewers have to register online to get the invite for the next film. They are highly priced as per the experience they provide. One does not just go to view the movie here but becomes a part of the movie as they escape reality and interact with the characters. This 888 seater of the Colosseum Kino Theatre in Norway, is the largest cinema in Northern Europe and looks more like a spaceship or a planetarium than a theatre. It is distinguished by the large spherical dome. This theater has an enormous hall, big screen, and comfortable chairs with a lot of leg space. Known for its archaic architecture the Rajmandir Cinema of Jaipur, is considered the crown jewel of India’s pride. The theatre was made so that people would feel that they were royal guests, in a stylish and elegant place with high ceilings with huge chandeliers. The seats are also named according to the precious gems, and divided into four sections as Pearl, Ruby, Diamond and Emerald. To enhance the experience a floral scent is released through the air ducts. The seating capacity of the theatre is 1300 and is one of the biggest in India. It is a popular symbol of Jaipur. Imagine watching a movie in place which was originally an abattoir, the Cineteca Matadero in Madrid is worth a visit. It is the first and only cinema in the country dedicated to non fiction films and documentaries. If you are a movie buff then these are some places you should definitely visit. Even if you aren’t much of a movie fan, these are worth experiencing. Next articleWhat To Keep In Mind When You Are Reporting To The CEO?